Every year the UPSC (Union Public Service Commission) conducts the Civil Services Exam. It is commonly known as the UPSC Exam Pattern. Consider that the Indian civil services exam as the toughest one to crack. You need consistent IAS Exam Preparation practice to achieve success. Develop strong determination and confidence in order to crack this exam. 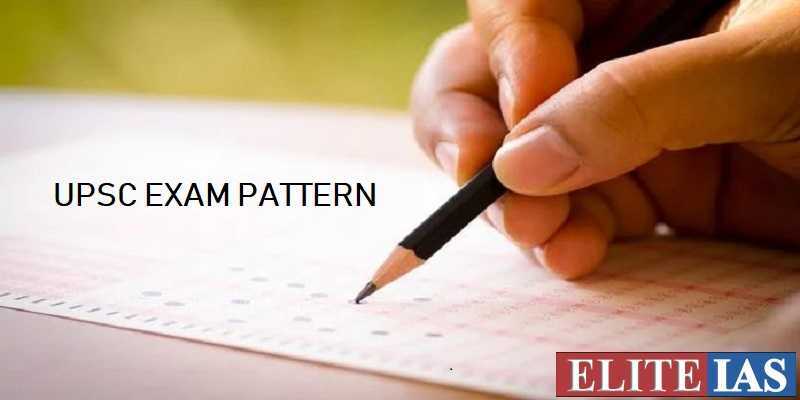 The updated UPSC Exam Pattern 2019 is released in the latest official notifications. In fact, it is very important to know the details of each section. Keep yourself updated and plan your learning process. Keeping this in mind, we have presented you the detailed information about the updated UPSC Exam Pattern. This article will give you complete information and helps you for better IAS Exam preparation. Hundreds and thousands of people aspire to become the Indian civil servants every year. Most importantly, the candidates appear to the Civil Services Exam from different regions of the nation. They come from diverse financial, educational, social, cultural, and educational backgrounds. By clearing this exam, an aspiring candidate goes a step higher on the social ladder. It is one of the most prestigious responsibilities in the country. In order to help you with a strategic IAS Exam Preparation, here is the detailed information about different stages of the exam. The first common question every IAS aspirant gets is “When to start IAS Exam Preparation?” We recommend you to start your preparation for the exam at least one year before. Most of the successful candidates have found this a good decision. For example, if you want to take up the civil services exam in 2019. The board has scheduled the exam on June 2nd, 2019. It is highly recommended to start the preparation in the month of June 2018. To begin with the IAS Exam Preparation, you must carefully go through the UPSC Syllabus. Prepare for the civil services exam after gaining the complete idea about the topics. Based on the information, prepare a smart study plan and strictly follow the same. Your basics need to be very strong. So, read the NCERT textbooks to achieve a good score in the preliminary stage. Since you will be starting a year before, develop the habit of reading the newspaper every day. The most recommended newspaper is The Hindu. Likewise, current affairs are the focus area in civil services exam. Before qualifying into Prelims stage, you must score at least 33% in CSAT. Plan well and finish the CSAT preparation within 2 months before the civil services exam. CSAT comprises of questions from logical reasoning, comprehension, and numerical ability. You would have learned all these topics in school. During the IAS Exam Preparation, you must learn smart tips to crack these type of questions. This is the prominent stage of civil services exam. Here you need to prepare for preliminary, mains, and optional subjects. Get into the extensive writing practice to prepare for this stage. Firstly, you should clear the prelims exam. Never stop reading the newspaper after getting through the prelims stage. During your UPSC Exam Preparation, make notes of current affairs consistently. By the way, revision is the key to success in civil services exam. Along with studying new topics every day, make sure to give considerable time for revision. It forms the most important and time-consuming stage of your UPSC Exam Preparation. Just make sure to be sincere and committed to attaining the success. To summarize, set your dream goals, go after it, and keep moving till you achieve. The personality test is the final stage in your IAS Exam Preparation. You have completed the whole UPSC Exam syllabus and it is the time for introspection. Collect all the important mock test papers from your coaching institute and online resources. Set a time and start solving each with determination. The final success of your civil services exam lies here. It becomes necessary to figure out your strength and weakness points during the mock tests. After identifying your weak areas, work on the same to improve your performance. Always work hard and you will feel the greatness after achievement. Keep the revision process consistent throughout your IAS Exam Preparation. Preparing for the civil services exam is a long and exhaustive process. Particularly, the end result and reputation you gain is completely worth. GS Paper II is commonly referred to as the Civil Service Aptitude Test. The standard UPSC Exam Pattern depicts that both GS Paper I and GS Paper II contains only multiple choice questions. The questions are available in two languages namely English and Hindi. The total marks for each paper count to be 200. So, plan your IAS Exam Preparation based on the marks distributed to attain better results. You will get 2 solid hours to complete each paper in the preliminary exam phase. From the UPSC Exam Pattern updates, the board members use the marks obtained in GS Paper I only for shortlisting to mains exam. On the other hand, candidates should compulsorily score 33% in the GS Paper II. If you get 66 marks out of 200 marks in GS Paper II, you got the minimum qualifying marks. Consequently, keep in mind that every wrong answer is responsible for negative marking. As per the UPSC Exam Pattern, each wrong answer consumes one-third marks allotted for that specific question. You will intend to lose 0.66 marks in GS Paper I and 0.85 marks in GS Paper II for every wrong attempt. You will have to answer the total 100 questions in GS Paper I and each question carries 2 marks. Similarly, you will have to answer 80 questions in GS Paper II and each question carries 2.5 marks. As a result, keep yourself updated about the UPSC Exam Pattern to crack the civil services exam confidently. The official board organizes the main stage of civil services exam in an offline mode. In other words, they conduct the exam in paper and pen mode. As per the UPSC Exam Pattern, it consists of 9 papers. Among the 9 papers in the main stage, two are qualifying papers. The other 7 are mandatory papers. Make sure to keep this in mind and stay confident in your IAS Exam Preparation. Each paper appears for total 250 marks. All the 9 papers in the mains stage of civil services exam are conventional essay type. You will get questions in two languages namely Hindi and English. Literature portion of language papers is an exceptional case. You must complete each of the mains papers in 3 hours. Practice on time management during your IAS Exam Preparation. You should score at least 25% in the qualifying papers namely Paper A and Paper B. Considering this score, the exam rules allow you to take up the other seven compulsory papers. Focus on UPSC Exam Pattern and plan your preparation carefully. The total marks you score out of 1750 from all the compulsory papers counted for the final ranking. Therefore, your marks in this section play the major role while deciding your All India Ranking in civil services exam. As per the UPSC Exam Pattern, the qualifying Paper A provides the options among the following list of Indian Languages. Make a note that the marks obtained in this paper are not responsible for the final ranking. Every candidate must score at least 75 marks out of 300 marks to qualify. As explained above, the UPSC Exam Pattern has two optional subject papers. The civil services mains exam provides 26 options for you to choose from. They prepare the post graduate level questions for this paper. Most of the questions in Paper II asked by them are from current affairs and application based. Paper I is theoretical. The rules and regulations allow you to choose any one of the following optional subjects. Lastly, do not forget to include the latest question papers during your IAS Exam Preparation. This is the final phase of your IAS Exam Preparation. As per the standard UPSC Exam Pattern, you must attend the interview test for 275 marks. There are no minimum qualifying marks in this section. In personality test, they will ask you the questions based on General Interest. The reputed commission at the UPSC Bhawan in Delhi conducts this final interview round. They will call all those candidates qualified in mains exam for an interview. The members of the board judge the candidates based on the psychometric test. Based on the UPSC Exam pattern, you will also have to attend an assessment test and personal interview phase in consecutive stages. Take your first attempt seriously and plan for a successful IAS Exam Preparation. The candidates from the general category have 6 attempts, OBC category has 9 attempts, and SC/ST category has no restriction until 37 years. The official board team will decide the final All India Ranking based on the marks obtained in 7 mandatory papers and interview round. The qualified candidates are put up on the final merit list. In turn, they will allow to different civil services like IAS, IPS, IRS, IFS, much more. Along with the marks, the board members consider the candidate’s preferences while allotting the posts. 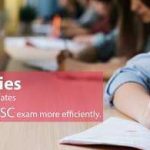 In this article, you got complete information about UPSC Exam Pattern and stages you need to go through. Plan your studies well and strictly focus on time management during your IAS Exam Preparation. Carry another extra set of stationary to avoid last minute tension in case of emergency. To conclude, learning about UPSC Exam Pattern is the first step and do it with full caution. Your whole study period completely depends on it.